Bauerfeind GenuTrain Elastic Knee Support Brace from HealthyKin.com is anatomically knitted for a precise fit and features an incorporated silicone insert. 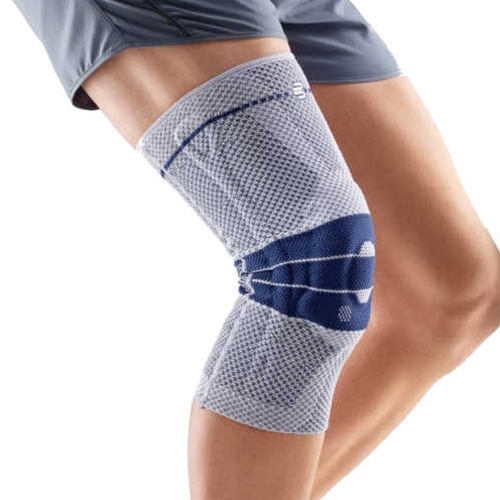 This comfortable, lightweight support relieves knee pain and swelling during sports oreveryday activities. This brace does not restrict hyper-extension of my knee. combined with Norvisc interarticular& rehab the knee will last another 70+ years always receive great service& products from healthykin!